You may know this cigar as the winner of Cigar Aficionado's 'Cigar of the Year' in 2008. Or perhaps that it is the brainchild of Manuel Quesada and Nestor Plasencia, two of the industry's best cigar manufacturers. But this all-Nicaraguan puro has something new to offer - the beloved box-press. 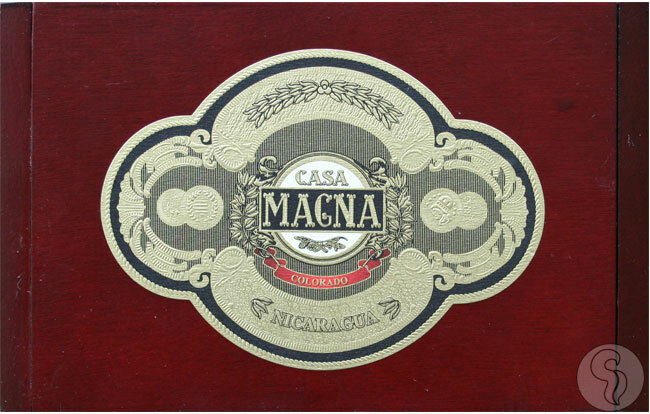 Rolled to perfection at the Plasencia Cigars S.A. factory in EstelÃ­, Nicaragua; the Casa Magna Colorado Box Pressed cigar offers the same full-bodied flavor as the original, with a solid, box-pressed feel. This is surely a satisfying smoke for the cigar enthusiast.